The ultimate comfort shoe meets incredible style this season. 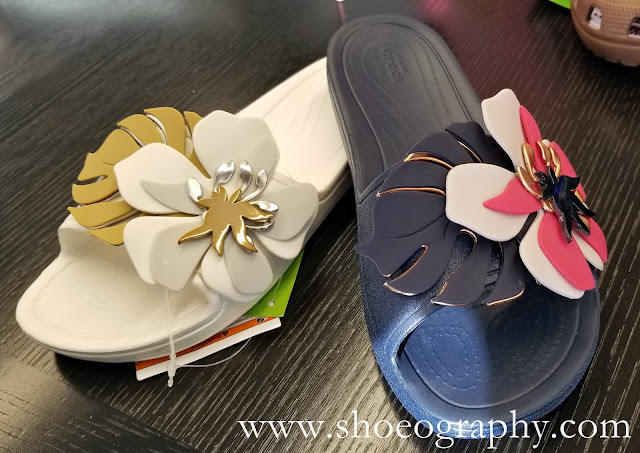 Just in time for the upcoming warm weather season (whenever that decides to actually start) is the Crocs Botanical Sloane Slides, Crocs' classic slide sandals boasting a three-dimensional hibiscus flower. 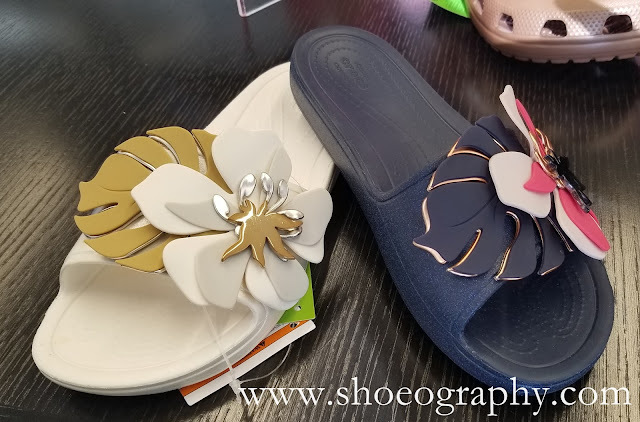 The gorgeous slip on slide is one of the new footwear styles from the Crocs Botanicals Collection which incorporates hibiscus flower charms and butterfly Jibbitz into the collection. These feature everything you love about Crocs, the comfort, the Croslite footbed, odor-resistance, easy to clean, water-friendly, and quick to dry. These Sloane slides are available in oyster/gold and navy/pink/gold/white and retail for $44.99. Get them now on www.kohls.com and www.zappos.com.